Haute-Savoie ([otˌsaˈvwa]; Arpitan: Savouè d’Amont or Hiôta-Savouè; English: Upper Savoy; German: Obersavoyen or Hochsavoyen; Italian: Alta Savoia) is a department in the Auvergne-Rhône-Alpes region of eastern France, bordering both Switzerland and Italy. Its capital is Annecy. To the north is Lake Geneva and Switzerland; to the south and southeast are the Mont Blanc and Aravis mountain ranges. The French entrance to the Mont Blanc Tunnel to Italy is in Haute-Savoie. It is noted for winter sports; the first Winter Olympic Games were held at Chamonix in 1924. Before 1860, the territory occupied by modern Haute-Savoie and the adjoining department of Savoie had been part of the Kingdom of Sardinia since the Treaty of Utrecht in 1713. Annexation of the region by France was formalized in the Treaty of Turin on March 24, 1860. From November 1942 to September 1943, Haute-Savoie was subjected to military occupation by Fascist Italy. The Maquis des Glières (a band of Free French Resistance fighters who opposed the Nazi, Vichy and Milice regimes during World War II) operated from Haute-Savoie. Haute-Savoie comprises four arrondissements, divided into 294 communes and 17 cantons. To the north, it borders the Swiss Canton of Geneva and Lake Geneva; to the east the Swiss Canton of Valais and Italy's Aosta Valley; to the west the French department of Ain, and to the south the department of Savoie. National nature reserves are designated by the French government as areas where an outstanding natural heritage is present in both rare and typical areas in terms of species and geology. Management is charged to local organizations, with direction and evaluation focusing on long-term protection for future generations and environmental education. Of the 37,561 hectares (92,820 acres) of land not managed for timber, Haute-Savoie has nine national nature reserves totaling 24,542 hectares (60,640 acres). Haute-Savoie has significant freshwater resources. 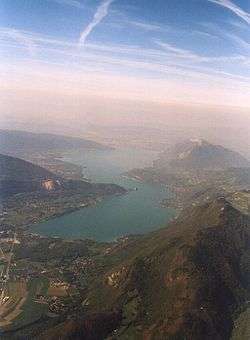 Lake Annecy is a major attraction, along with the town of Évian-les-Bains, perhaps the best-known town on the French shore of Lake Geneva, and known worldwide for its Evian mineral water. 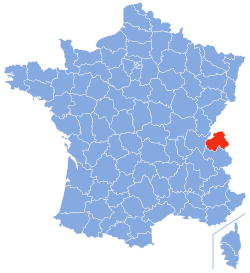 Haute-Savoie is entirely within the watershed of the Rhone. In 2006 approximately 142,000 hectares (350,000 acres) of land was suitable for agriculture, of which 33,600 hectares (83,000 acres) (24 percent) was arable land suitable for market gardening, cultivation or pasture; 600 hectares (1,500 acres) was orchards; 300 hectares (740 acres) was vineyards, and 108,300 hectares (268,000 acres) was alpine tundra or grasses. There were 4,450 farmers in 1999, 4,800 farmers and over 1,700 full-time farm employees at the end of 2006. In 1999, crop production was valued at €71.5 million and animal production at €165.4 million. From 1998 to 2005, 65 new supermarkets were built for an area totaling 50,000 square metres (540,000 sq ft). The average expenditure per capita in 2006 was €21,706. With the 2004–2007 rise of the euro, Swiss customer traffic decreased five or six percent (Swiss shoppers make up half the shoppers in the Geneve Savoyard district). At the end of 2006, traditional small businesses (less than 300 square metres (3,200 sq ft)) represented 84 percent of businesses and 40 percent of retail space. 4,301 companies were established in 2004 in Haute-Savoie: nearly 80 percent in the service sector, with a high percentage offering service to individuals (hotels, restaurants, recreational, cultural, sports, personal and household services). This accounted for 21.6 percent of new businesses. The most active sectors were real estate (up 24 percent), construction (up 15.4 percent), business services (up 12.4 percent) and the food industry (up 10 percent). In 1999, Haute-Savoie had 2,779 industrial companies producing 13.60 percent of all business income. Screw-cutting is a precision parts-machining industry, and Haute-Savoie generates the bulk of French screws. Firms engaged in screw-cutting are major employers in the department. While the automotive industry is the principal client, firms also service the electronics, household-appliance and medical sectors. Arve Industries is part of 67 "competitiveness clusters" created in 2005. The cluster is dedicated to mechatronics and includes 60,000 industrial jobs in over 280 companies (primarily small), 1,200 researchers and 250 patents in 2002. Among the projects supported by the cluster is inertial tolerancing, a new approach in evaluating the quality of machined parts. Based on the Taguchi loss function, inertia is defined by its deviation from its target. Inertial tolerancing is a research-and-development program supported by the cluster for its member companies. 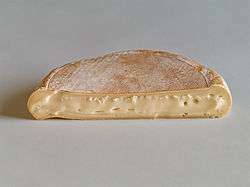 It is led by a research team from the Symme Laboratory of the University of Savoie and the CTDEC (Centre Technique du Decolletage). The publication of the French standard NFX 04-008 demonstrates the relevance of topics covered by the cluster. Other programs involve the production of clean parts (4P project), developing new models of customer-supplier relationships to improve the effectiveness of simultaneous engineering tasks, and development of the international visibility of the cluster and its members. The companies concerned are involved with industrial mechanics, precision engineering, precision turning and sub-assemblies and mechanical assemblies, often associated with integrating technologies such as plastics, electronics and hydraulics. Markets served by member companies of the cluster include transport (cars, trucks, rail and air), production and distribution of electricity, hydraulics (gas or liquid, high-pressure vacuum), medical and health-related. In 1999 there were 37.9 million overnight stays: 56 percent in winter and 44 percent during the rest of the year. Many people who live in Haute-Savoie (more than 52,200 in November 2006) work in Switzerland (in the cantons of Geneva, Vaud and Valais). The phenomenon has accelerated since bilateral agreements concluded between Switzerland and the European Union, of which a significant part concerned free movement of people. In 2007, commuting increased over 12%. Effective June 1, 2007 a resident of Haute-Savoie may freely work in Switzerland. The department and municipalities receive compensation ("frontier funds") allocated to municipalities in proportion to the number of border residents there. 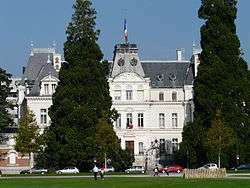 Following an agreement signed in Geneva in 1973, the Canton of Geneva transferred to Haute-Savoie 3.5 percent of total worker compensation, equivalent in December 2006 to €77.687 million. Exports are an important part of the economy; forty percent of Haute-Savoie employees work for exporting firms. Exports are primarily to Germany, the United States, Switzerland, Italy and the United Kingdom. Imports come mainly from Germany, Italy, the United Kingdom, Switzerland and the United States. Haute-Savoie has property and income taxes. In 2006, 312,823 households were subject to property taxes and 27,747 were exempt. The average income tax per household was €25,621 in 2007 (compared with the national average of €21,930). Haute Savoie is served by the A41 and A43 highways. Annecy is accessible from Lyon, with an estimated travel time between two and three hours in normal traffic. Since it is closer to Geneva, the new highway connects the two cities in about an hour. Meythet Airport in Annecy has Air France Regional round-trip service to Paris Orly. Saint-Gervais is the only railroad station directly serving a ski resort. 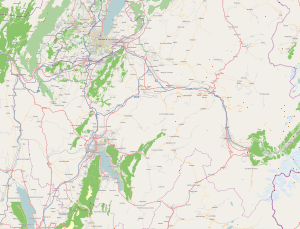 The main rail line serves Annecy-Annemasse-Geneva. The Annecy railway station has TGV (high speed trains) departures and arrivals to and from Paris via the high-speed line from Lyon Part-Dieu. Kingdom of Sardinia - 1720 to 1860. Lake Annecy - The third largest lake in France. 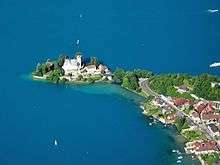 Lake Geneva - Lake which joins Upper Savoy and Switzerland. 1 2 3 4 "Haute-Savoie: IIIe inventaire 1998" (pdf). Inventaire forestier départemental. Inventaire Forestier National. 2005. Retrieved 2010-09-03. ↑ "What is a nature reserve?". Réserves naturelles de France. Archived from the original on August 24, 2003. Retrieved 2010-09-03. ↑ "Rhône-Alpes". Les réserves naturelles de France - les réserves - par region. Réserves naturelles de France. Archived from the original on May 4, 2009. Retrieved 2010-09-03. 1 2 "Mémento agricole et rural Haute-Savoie" (pdf). Direction Départementale de l’Agriculture et de la Forêt. April 2008. Retrieved 2010-09-03. ↑ "Haute-Savoie sub-contracting". Chambre de Commerce et d'Industrie de la Haute-Savoie. 2009. Retrieved 6 August 2011. Industry at the heart of dynamism in Haute-Savoie. 30% of GDP in Haute-Savoie comes from industry (compared with 20% in France) A concentration of several professions/skills on one region: screw-cutting, pre-cutting, assembly of sub-assemblies, innovative materials, surface treatment, grinding, tool manufacture. Three key activities: - Sub-contracting and manufacture of sub-assemblies - Capital goods (specialist machinery, robotics) - Consumer goods: agri-food, sports and leisure, household equipment Some 2,500 production organisations 52,000 industrial employees (of which 26,000 in metallurgy and metal-working) Industrial fabric made up primarily of SMEs (79.2% of businesses with fewer than 10 employees). The Arve valley: the global benchmark for screw-cutting The capital of screw-cutting, Haute-Savoie represents 65% of screw-cutting in France, and 20% of industrial enterprises within the administrative area + 800 sub-contracting SMEs and almost 500 SMEs specialising in screw-cutting More than 8,000 employees work in screw-cutting in the Arve valley. Main client screw-cutting client sectors in decreasing order of size: automotive (60% of screw-cutting organisations work for this sector), electronics, household appliances, medical. Wikimedia Commons has media related to Haute-Savoie.